Is the hype surrounding the use of the Compact Fluorescent (CFLs) light bulbs to save energy and money really true? Paul Wheaton’s CFL article points out some compelling arguments suggesting that CFLs might not be all that energy efficient after all compared to incandescent light bulbs. A CFL light bulb will actually have a shorter life span than a incandescent light bulb if you household is in the habit of conserving energy and frequently turn lights off when not in use. CFLs don’t perform well when turned off and on many times. I did not grow up hunting. I did fish a lot as a kid and if we had a good catch we did clean them and eat them. 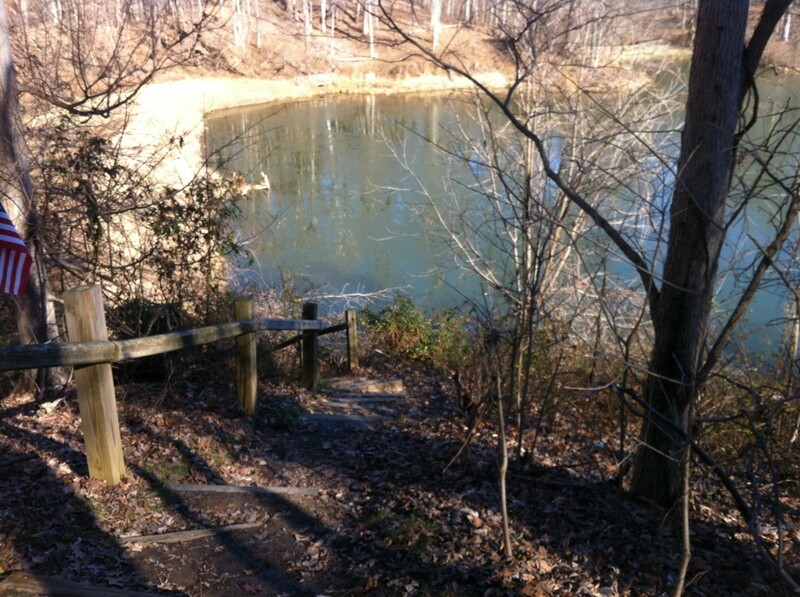 Even though I lived in town, I did experience the outdoors a lot and always felt a deep connection to experience nature more. I also didn’t have much experience with firearms. I did have a BB gun as a kid, but that’s about it. I felt my calling after high school was to pursue my interest in nature, so I studied Biology in college and received a BS in Wildlife Biology. Many of the people I met in this program were hunters and had been hunters since they were kids. I still never got into hunting mostly because of my inexperience with firearms. It wasn’t until 4 years ago (2008) that I finally felt it was time. I got access to a deer caliber rifle (Marlin 30-30) from a family member and soon after was given a Thompson Center Hawken .50 cal muzzleloader from another family member. I didn’t harvest a deer my first season. I had a couple of friends that helped me out that first season. They taught me a lot about how to hunt and helped me get comfortable with my rifle. 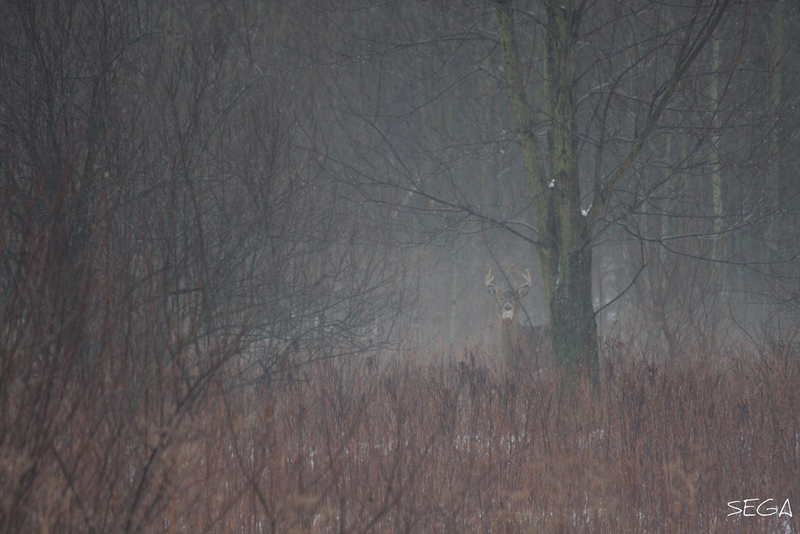 I harvested my first deer during my second season and was unsuccessful last year. My son (12 years old at the time) was successful during his first hunt last season. 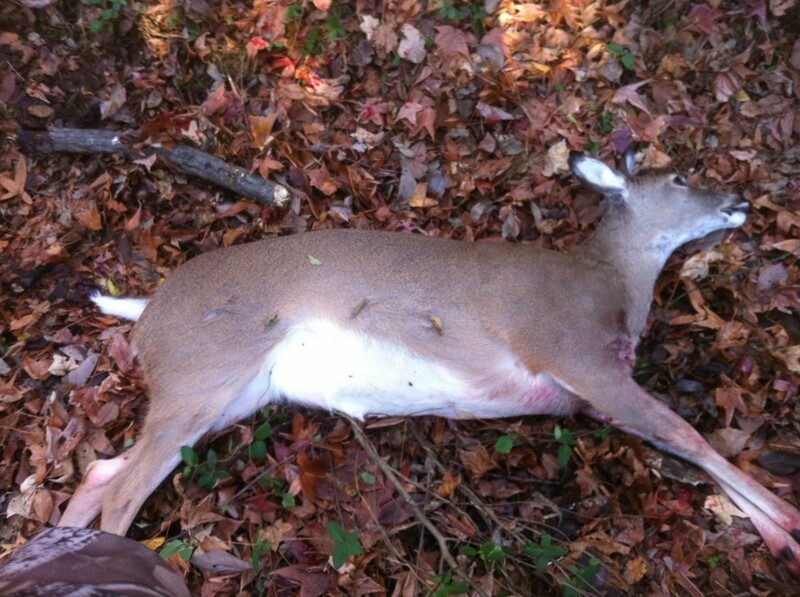 As of November 22nd 2011, I have harvested 2 deer (1 doe and 1 buck) so far this season. After one has successfully harvested a deer, it must be field dressed. 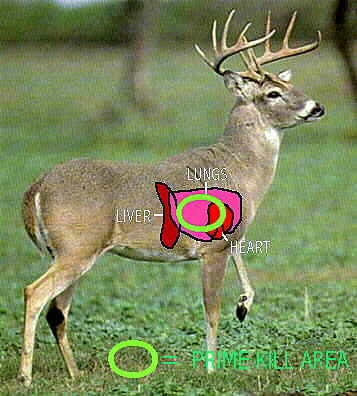 Field dressing is the removal of the internal organs of the deer (or other hunted animal). Removing the internal organs ensures that the body will rapidly lose heat and prevent bacterial growth on the surface of the carcass. This process is critical to preserving the meat properly. After one has taken a shot at a deer, depending on the placement of the shot, the deer may drop almost instantly, run 2o or 30 yards to cover, continue to run in a large open field til it drops, etc. My advice would be to wait 20-30 minutes before leaving your location, to track or approach the deer. This gives the deer time to die and not approaching the deer to soon keeps it from possibly getting up and moving further away. We go through quite a few cans of olive oil spray every year. We seem to use it for almost every meal we cook. 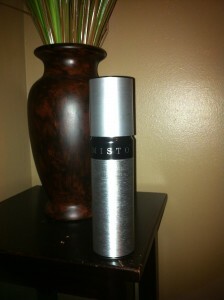 My wife picked up a refillable Misto Olive Oil Sprayer recently. Many might already use these, but I thought I would share this as it is a great way to reduce waste since we will no longer be throwing all of those olive oil spray cans in the landfill any longer. It seems easy enough to use. There is a plastic cap underneath the top that twists off to allow it to be filled. Fill only half way to allow for pressure build up when pumped. Replace the top, pump, and spray. So I wanted to share this because I’m guessing since it’s a non-aerosol can that it’s better for the environment. Those aerosol olive oil spray cans have soy and anti-foaming propellants, and may contain milk and wheat. This way you will be spraying pure olive oil. Plus I’m hoping it will save us some money by not having to purchase new cans.